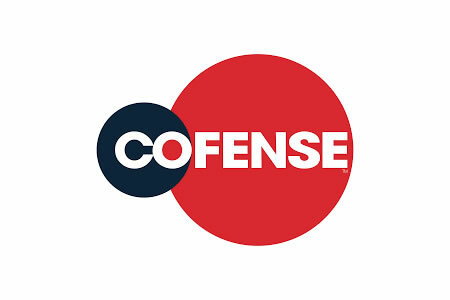 Cofense has announced it has made several enhancements to its phishing training, simulation, and response platform to make it even easier for companies to improve their defenses against phishing attacks – The number one cybersecurity threat faced by organizations in the healthcare sector. While technological anti-phishing solutions can reduce the volume of malicious emails that are delivered to end users’ inboxes, some phishing emails will still be delivered. It is therefore essential – and a requirement of HIPAA – for employees to receive training to help them identify phishing threats. Research conducted by Cofense has shown that organizations can reduce susceptibility to phishing attacks by up to 95% through security awareness training, when training is reinforced with phishing simulations. The Cofense PhishMe training and phishing simulation platform helps organizations improve the security awareness of their employees and conditions them to respond appropriately when potentially malicious messages are received. In addition to regular additions to the library of training content, Cofense is continuously augmenting its phishing simulation templates to include real-world phishing attacks and the new phishing and social engineering techniques used by phishers to fool end users. Further enhancements have recently been made to the platform including the addition of plain text phishing email simulations and auto attachment tracking. The latter is an industry-first feature that accurately tracks the end users that have opened attachments sent in phishing simulations, whether they are opened on desktops, laptops, or mobile devices. This allows companies to identify individuals who have failed to take training on board. Updates have also been made to allow end users who fail phishing simulations to be automatically enrolled in further training to tackle the specific areas where they have demonstrated a lack of awareness. The platform now includes enhanced reporting, including boardroom quality reports that can be shared with the executive team to show the results of the phishing defense program and the return on investment. Enhancements have also been made to recipient management, allowing administrators to easily manage and update employee information and review user-specific activity.